Harley Quinn, to the Rescue? I’ve been meaning to do a really good Harley Quinn drawing for a while. I’m admittedly partial to the more classic Bruce Timm look, from the Batman animated series… but I finally found a few good stills from the new Suicide Squad movie that I liked, depicting actress Margot Robbie in a good pose. I like the looking down the “barrel” of the baseball bat pose here, and the movie costume has a lot of nice details to capture. 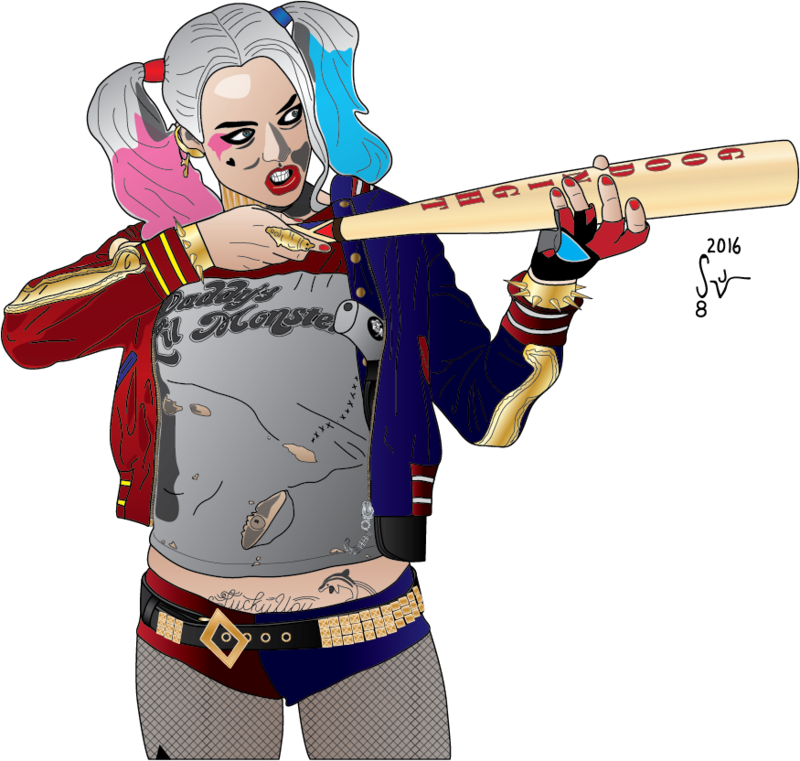 I admittedly burned out a bit and didn’t put all the tattoos she appears to have in the movie, nor did I put all the signatures on the bat, as most of that would be illegible at the size of my drawing anyway. Being completely honest, I’m actually happiest with how the jacket looks. Her jacket and shorts kind of have a Two-Face design working for them (half one style, half another) which I enjoyed drawing. I wonder what the Joker has to say about that choice in design? 😉 I also think I’m continuing to get better at getting the shading to look as I see in my mind when I’m drawing people. I haven’t seen the movie yet… maybe by the time it hits satellite I’ll get to catch it. In the meantime, please let me know what you think of this one. Remember, if you’d like an original commission by me or would like to hire me as an Illustrator, please use the Contact page and let me know as much as you can about your request. Gleefully, Melissa Benoist as Supergirl! 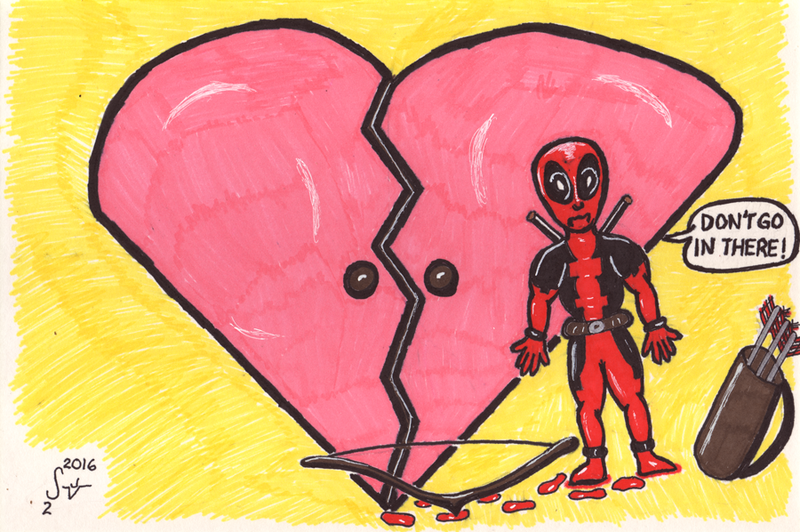 So… there are a lot of comic book TV shows on right now. It’s something of a renaissance of comic book heroes on TV. I’m watching most of them, at least the ones on traditional TV and not the ones exclusive to streaming services to which I don’t subscribe. I hadn’t drawn a new picture in a little while, so over the weekend I tackled this one. 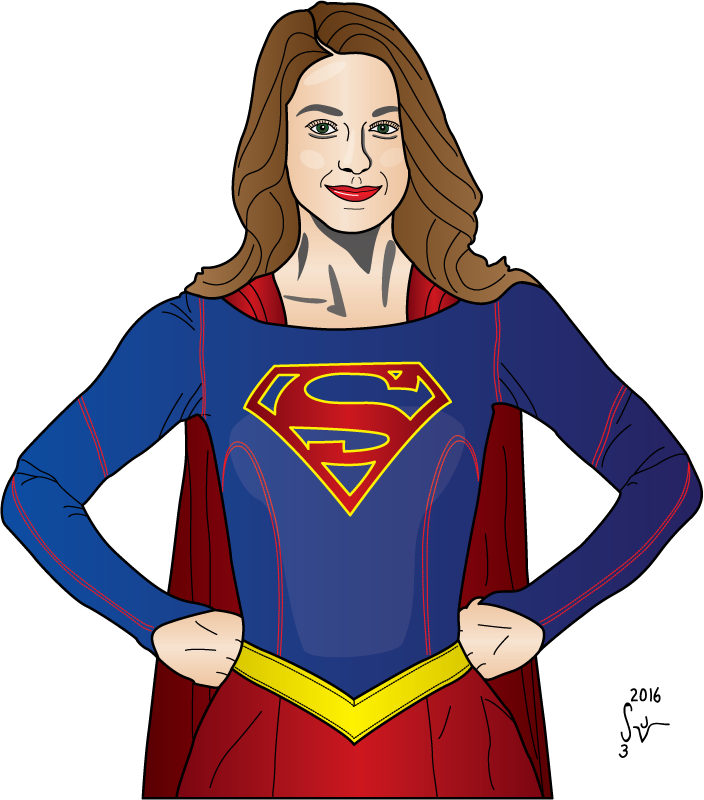 This is, of course, Supergirl… and I had a promotional still of Melissa Benoist from the CBS TV show to use as reference. She does a really good job in the role, and the show itself is generally entertaining. She’s the second person to be grabbed from the Glee TV show (Grant Gustin plays the Flash on the CW) to play a DC hero. I wonder who might be next? I tinkered with this one for quite a while. I tried something a little different with the nose than I was doing last year. Basically, less line-work and more shading. I like how that turned out. The more I look at it the more I’m happy with it, though initially I wasn’t sure I had captured the actress in the likeness as much as intended. I was sure I had successfully drawn a pretty woman, but wasn’t sure I had drawn the one I meant to be drawing! Please do let me know what you think, and remember, if you’d like an original commission by me or would like to hire me as an Illustrator, please use the Contact page and let me know as much as you can about your request. Because I demanded it! 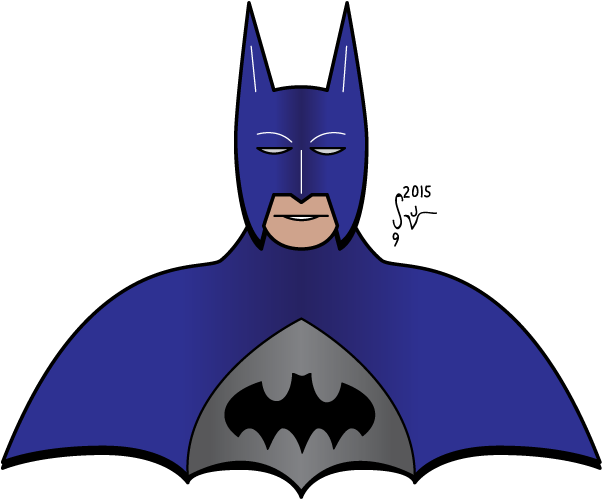 The costume bust illustration series continues… As already established in a previous blog entry, I am a fan of the classic Adam West Batman TV show from the 1960s. 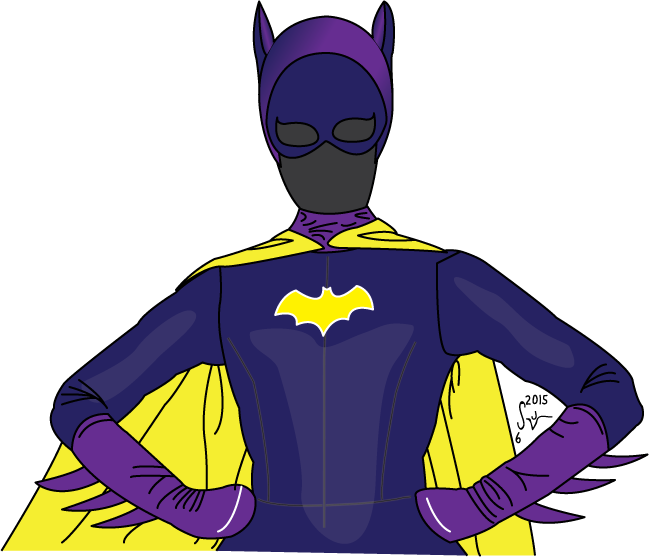 As such, it was only natural to create an illustration of the Batgirl costume from that TV show. I’m really happy with how this one turned out! I decided to draw to her waist on this illustration, because it just didn’t feel right not to include those gloves. Feel free to imagine Yvonne Craig in there, even though I didn’t draw her. Who will be next in this captivating costume-only series? Will the annoying alliteration be amped further? Stay tuned to this same bat-blog for the next extremely exhilarating entry! 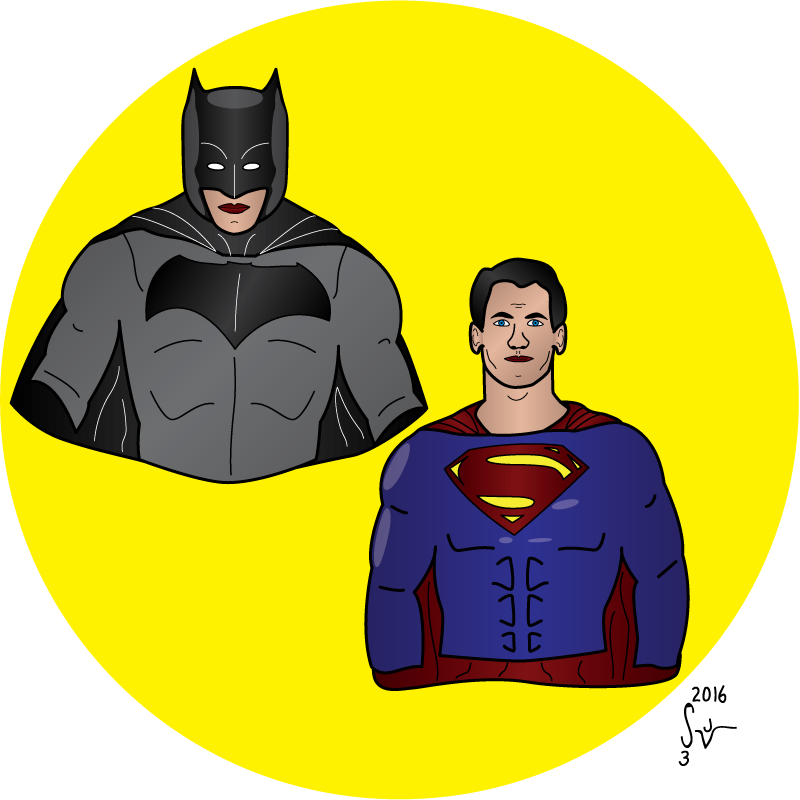 By the way, here’s a link to the inaugural entry in the costume bust illustration series, in case you missed it. Remember, if you are interested in requesting my services as an Illustrator, please use the Contact page and let me know as much as you can about your request. People like my comic strips… and people have really liked my recent Technical Illustration posts… but one of the most consistently searched areas of my blog continues to be my logo and insignia work; in particular, my Spider-Man head and my Flash and Reverse Flash insignias. Check out my Comic Book Company Logos and Insignias post from last year to see what I’m talking about. I attribute at least some of this popularity to the recent success the CW has had with shows like Flash and Arrow. So, never let it be said I don’t try and give people more of what they want! 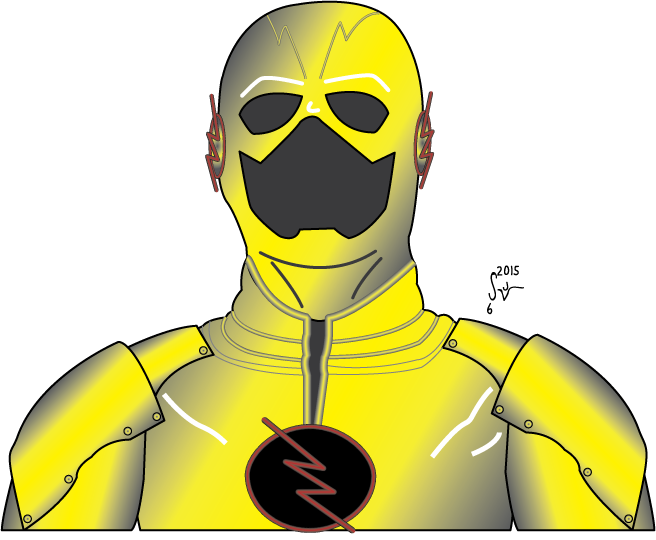 Here’s my rendition of a bust-style illustration of the Reverse Flash costume from the Flash TV show. Your eyes are not deceiving you, by the way, there is no person inside the costume! I’m actually thinking of doing a series of bust illustrations in this style with various costume-only renditions. If you have a favorite character, please let me know and I’ll see if I can add it to my queue.